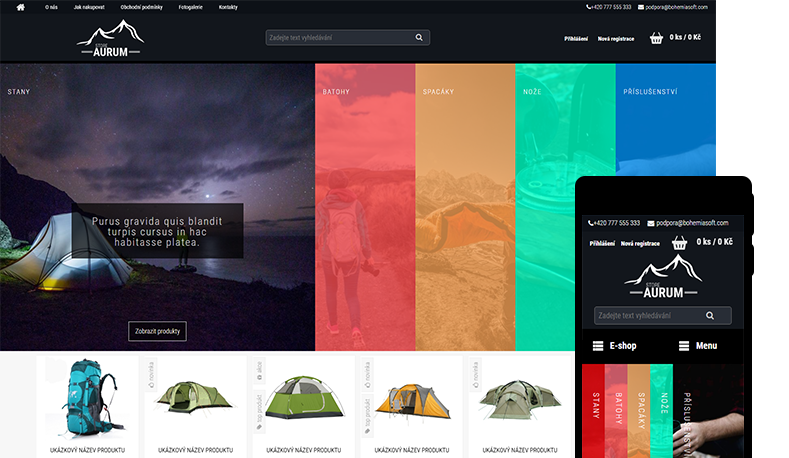 Wide-angle template, with a unique graphics accordion for displaying the main product categories on the home page and multifunctional product boxes. The product menu is displayed vertically at the left edge of the page. This display mode allows you to display even a large number of categories in multiple sub-levels. The article menu is placed in the e-shop header and is thus very well accessible. 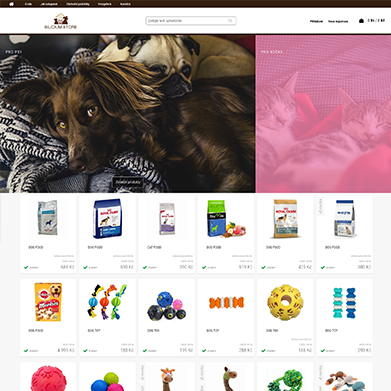 Each product can display any number of images in the form of a gallery after clicking in the product box. When you move your mouse over the product box, it is expanded and the product description is displayed. On the home page, you can display the selected categories in an attractive animated graphic form. Information Boxs with Best Sellers, News, Survey ... are displayed in the left column below the product menu. The eshop footer displays the contact details and the product and article menu structure. Operation and development of the e-shop + functions to increase turnover can be handled anybody. Business with Fast-webstore pays off.